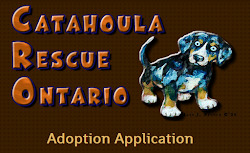 Catahoula Rescue-Ontario: Meet Zeva ADOPTED! Zeva is thought to be a Treeing Tennessee Brindle Hound (or mix of one). She is estimated to be 2-3 years old and her ideal weight is approximately 40 lbs. Zeva has a very loving gentle personality. She enjoys the company of humans very much. When out for a walk, Zeva wants to greet everyone, big and small. She is quiet in the home, but can be vocal outdoors, especially when honing in on her treeing skills. She has successfully treed a few small critters, proudly “singing” to alert that she has done her job. Zeva is fully house trained and knows a few basic obedience commands, like sit and down. We are working on some self control, as she is a bit bouncy when she gets excited. She is very food motivated and learns quickly. If a treat is offered, Zeva will probably do just about whatever you ask of her. She is crate trained and can also be left free roaming in the home. Zeva is always super excited to welcome you home from a day at work, her joyful expression is priceless. Sounds almost too good to be true, right! No joke, Zeva is a gem. Zeva totally lights up when other dogs are present. She is very social and loves to run and play. 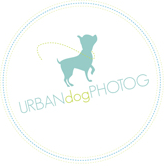 She is a strong and energetic medium sized hound with a rough and tumble play style. She is still learning the ropes of proper doggy etiquette. Zeva takes her cues from the other dogs and will quickly get the hint if she over steps her boundaries. She will bow and coax the other dogs to run and chase her whenever she gets the chance. She would love to have a fenced in yard with daily walks to keep her well exercised and in tip top shape. Zeva would make a great running or hiking partner. She has very good recall in a secure area so she would probably do well at the dog park too. Zeva is currently living with three other dogs and five cats in her foster home. She adapted instantly to the busy household and has integrated quite easily with all of the animals. She has even been seen giving the cats kisses. Ideally Zeva would love to have another dog to play with and keep her company in her new home. She is a bit timid on her own, but with another dog to support her she blossoms and has the confidence to face the exciting new adventures that await her in life. Zeva is spayed, vaccinated, heartworm tested (negative), and microchipped.